A standard set of playing cards great for any card game. 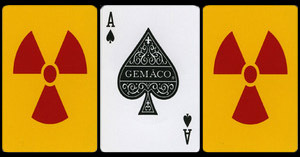 The cards have a bright red radiation symbol against a yellow background on the back. 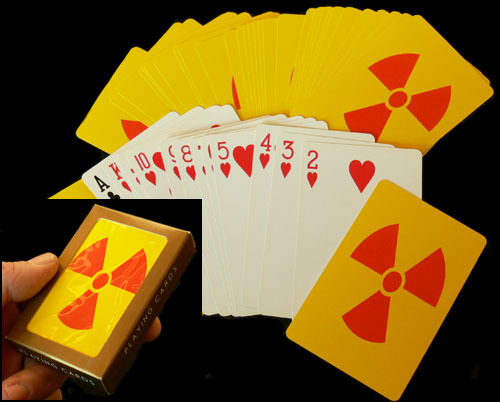 The perfect set of playing cards for the nuclear family. Cards are the standard measurements for playing cards: 3-1/2" x 2-1/4".